Bristol, England — Cassidy Jester (’17) and I are spending the weekend in Bristol after finishing our fieldwork in Dorset this week. Our travel and lodging arrangements required a couple of days here before we go to London on Monday and then our separate ways. We’ll continue to sort out our specimens, work on a GSA abstract, and explore the city. 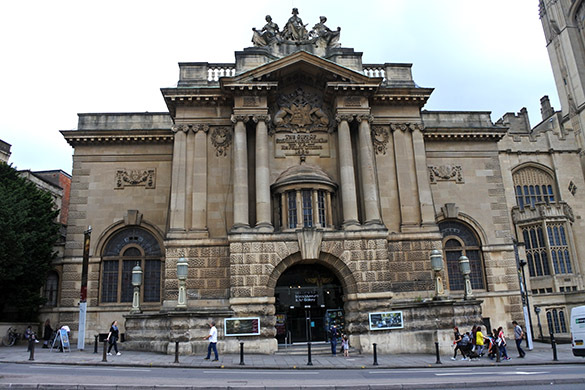 This afternoon, while waiting for our hotel rooms to open, we walked through the central part of the city to the Bristol City Museum and Art Gallery. It is the building with the pillars on the left. 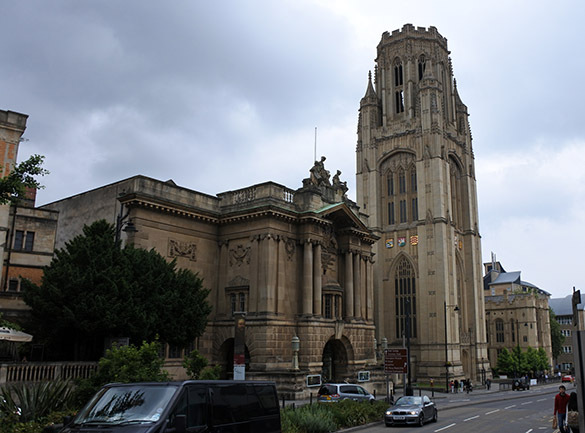 The magnificent tall building on the right is part of the University of Bristol — the part that houses the Earth Sciences Department. This museum is a wonderful combination of art, history and science, with considerable space devoted to geology and paleontology. 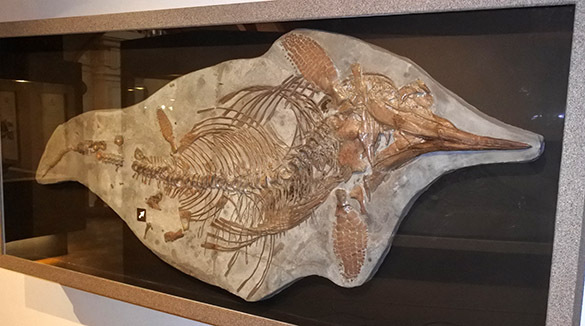 Among the many exhibits, I picked one to share: a pregnant ichthyosaur from the local Jurassic. Note the tiny arrow in the lower left of the skeleton. 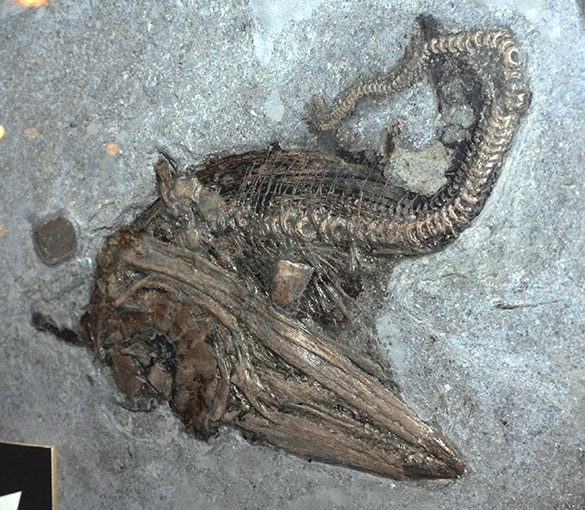 At the arrow, among the bones of this female ichthyosaur is this hand-sized skeleton of a fetus, direct evidence that ichthyosaurs, though reptiles, gave live birth. Paleontology is so cool.